When you discover a new restaurant gem, you have to share it with the world right? 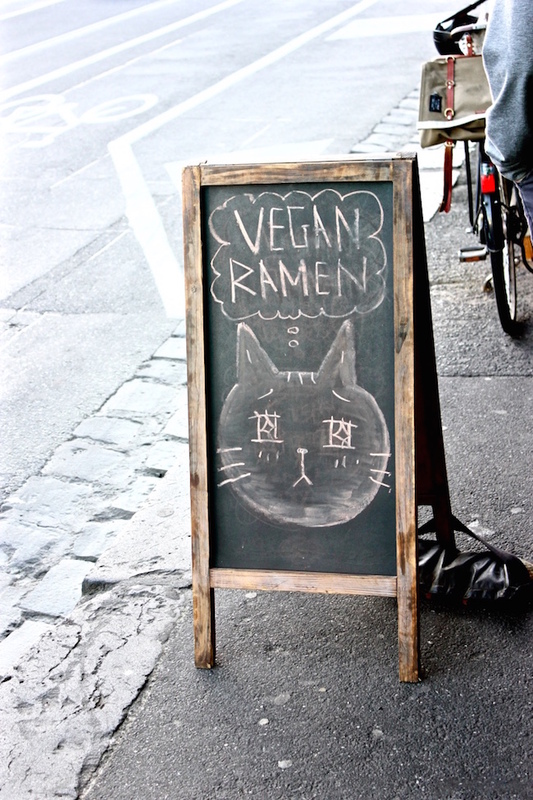 We were recently walking down Gertrude Street in Fitzroy, when we were greeted with a very welcoming sign for Vegan Ramen..
With such an adorable sign, how could we not go in right?? Plus, the place was humming with people. Actually, it was overly humming, because the tiny little venue was packed full, with several groups already ahead of us waiting for a table. For this the waitress was exceedingly apologetic (even though there was of course no need for her to be! ), and she offered us complimentary plum wine whilst we waited (which was super delicious by the way.. with such depth of flavour). But, I hear you asking, what was the food like?! Do these images answer your question? The food was absolutely incredible. There were so many different elements and flavours in everything, and the combinations were just so interesting, with flavour influences from cuisines around the world. Like the gyoza filled with quinoa and creamy chickpeas, which had curry flavours, and the bean and potato croquettes served with a coriander sauce. The ramen dish itself was yummy too; it was comforting, full of flavour-depth, and just so beautifully presented. The most stunning dish we had though was a Teishoku of agedashi tofu, which came with the most exquisite plate of vegetables and mixed black & brown rice. (We were stoked to see it come with this more nutritious form of rice too, rather than the standard white variety which most places offer). On the plate there were several types of vegetables, all prepared in such interesting ways. There was even a tiny cube of cultured macadamia cheese. Yum! Regardless of whether you identify as vegan, vegetarian or omnivore, you will not be disappointed with this restaurant's delicious plant-based food. 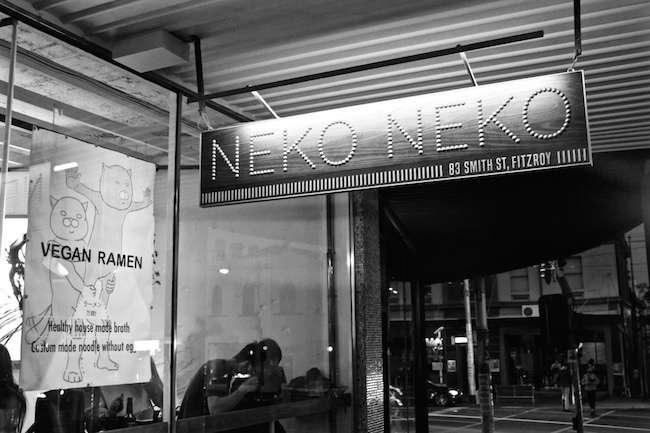 We can't wait to return to try more of Neko Neko's delicious dishes (like the raw vegan okonomiyaki, served with miso eggplant macadamia sushi). Have you been to this restaurant? If so, what did you think of it? Do you have a favourite veg-friendly Japanese restaurant in Melbourne?